Of all parts of the face, eyebrows have the power to express a different and new impression. All you've got to do is to give them shape and define them to give them the power to express. Shu Uemura's Shu Atelier newly defines natural eyebrows towards a fresh and exciting direction, it's 3D Brow Styling that provides natural volume and shadow to the brows. We all know how famous is Shu Uemura's Hard Formula Eyebrow Pencil. It's definitely one of the best with its unique naginata-shaped tip, making drawing extremely precise. Plus, it takes a certain technique to sharpen these babies, as shown below. Now, to get the 3D brow effect, it's more than just using one brow product. They start off with shading using brow:ink (something that I'm craving for) to blend colours on skin between/under the brow hairs. 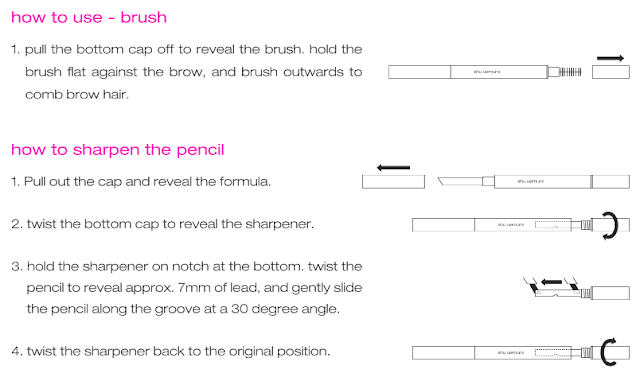 Then draw and create natural shape using the Hard Formula to literally draw individual brow hairs one by one with a light hand. Finally, colour them with the Eyebrow Manicure to match hair colour for a natural look. 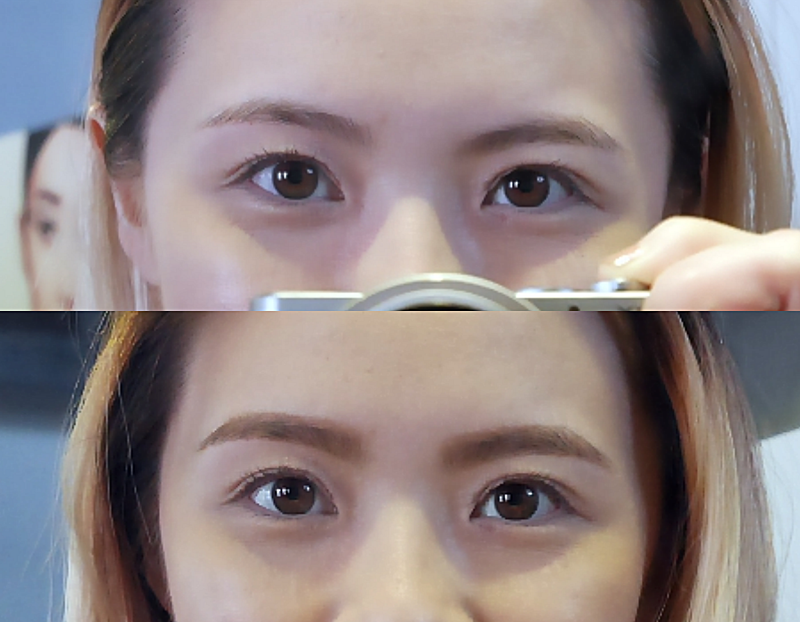 Here's my Before/After 3D brow! It frames my face with a sophisticated style. 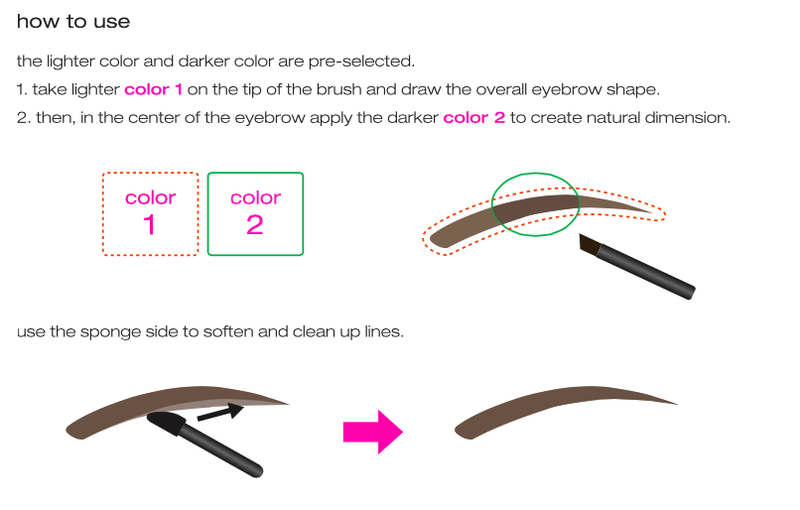 Shu introduced two new products to the 3D brow styling line-up, Brow:Sword and Brow:Palette. 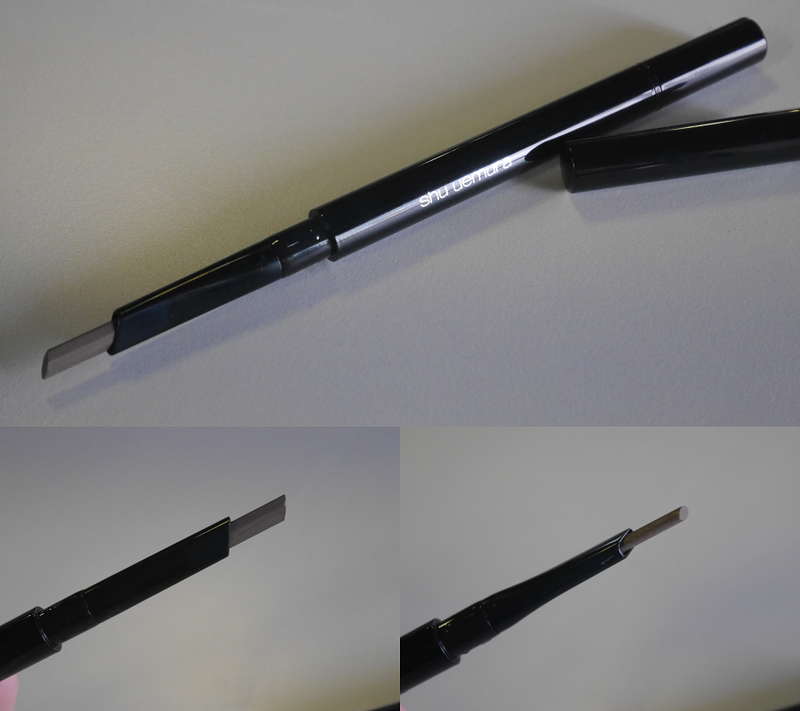 It's the 1st pre-shaped naginata brow pencil! It's super easy to use, soft yet precise and defined. I love the fact that it has a brush at the other end to help blend the brows for a beautiful, finished look. It also comes with a special sharpener at the bottom cap. There's a particular technique to sharpen this brow sword, check out the image further down for more information. It comes in 5 shades. Btw, the cream shadow/base on the left is just absolutely creamy and amazing! 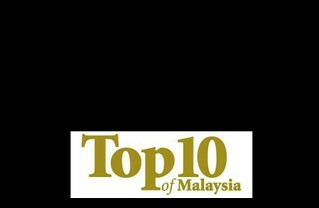 For more information, visit Shu Uemura's Facebook Page.